An overflow crowd attended the Union County Heritage Museum’s February edition of Museum Moments: “From Goat City to The Hill & Goose Hollow to The Flat.” It was a unique, intriguing and poignant trip into the past of the local African-American community. For many, education began in the churches, then moved to B. F. Ford School. 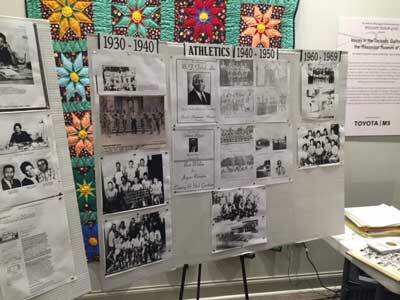 Led by Sam Mosley, members of the African American Concerned Veterans and Friends have worked diligently for more than a year to capture and preserve historical information about African-American communities, education, athletics, churches and businesses. Much information was not formally documented in the past, and has been lost. Going forward, this group hopes to see the community continue efforts to document its history, and to build on that knowledge and heritage for the future. Many excellent athletes came from the local community. Twenty active African-American churches that were established 100 or more years ago have been included in the Hallelujah Trail project, which began a part of the Mississippi Statehood Bicentennial celebration. Hallelujah Trail markers will soon be installed at the qualified churches. These churches and, later, the B. F. Ford School were of vital importance to the local African-American community. With the advent of integration, most of the African-American businesses and gathering places were lost, along with much of the unique character of the individual communities. As community members continue to age, it is feared that more of the rich history will be lost, unless action is taken to gather what is now available. The search for historic information is an ongoing process, and members of the community are encouraged to share any personal knowledge, photos, documents, etc. 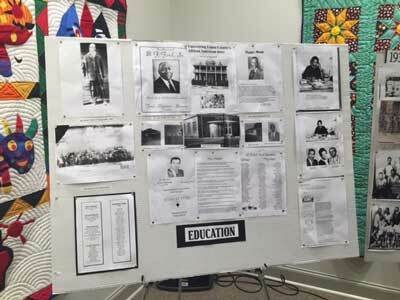 that can add to the picture of the local African-American community’s history. Original photos and documents can be scanned and returned to their owners. In addition to the informative posters, photos, etc. connected to the main presentation, museum visitors were surrounded by the currently exhibited collection of quilts on loan from the Mississippi Museum of Art. The quilts include traditional and non traditional textiles and styles show the great amount of diversity and talent throughout the state. 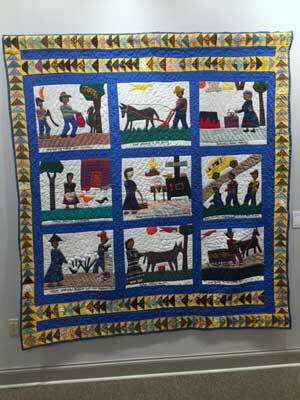 Most of the quilts feature themes that are of traditional importance to the Aftican-American community. 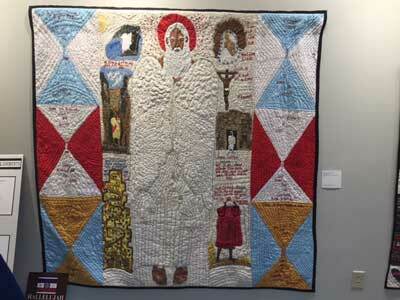 The quilt exhibit will be at the museum through April 2nd.